As some of you may know, I am a baker or at least I love to bake; and I have realized in this world of baking, it can take you hours and hours of work. Work especially in the area of decorations. Take, for example, the above cake I and my sister worked on it till 1:30am. Whilst working on the cake, I was sleep standing; I was really tired. But I had to finish the cake that night because the owner wanted it the next day. Since I still work; the night time is the best period that I can work. As I was working on the cake, I was saying to myself; one will spend a countless number of hours icing and decorating a cake, to make it presentable and beautiful; yet in a matter of few minutes, the cake would be cut and shared…and that’s the end. A baker would spend hours creating and making beautiful cakes, yet in a matter of seconds, the cake would be cut or in some cases, smashed. This got me thinking, this is exactly how wedding/marriage is. We spend countless hours, millions of money on a wedding, and in a matter of minutes…at most hours; the whole ceremony is over. The real deal; which is the marriage begins. Weddings take a lot to plan and prepare for, heck…some ladies even dream of their wedding day right from childhood. But the question is, how prepared are we for the marriage. Going through my system yesterday, I discovered hundreds of pictures, I had saved, in the name of getting inspiration for my wedding, the funny thing is I am not even in a relationship, not to talk of planning for a wedding. But if you ask me today, what I want for the supposed future wedding, I can tell you even in my sleep. 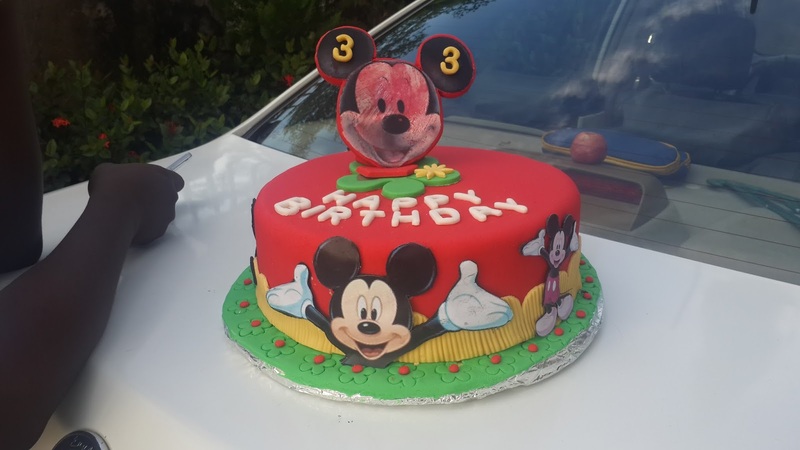 Imagine a beautifully decorated cake, that looks so real, it doesn’t even look like a cake, cutting it open… wait for it; and the cake is spoilt, tasteless, slippery, or worse still smelling. That’s how it is when we prepare so well for a wedding and have no clue what it is means to be married or stay married. I’m sorry but sometimes I feel there’s too much glorification of weddings, the serenren attached to it, the countless shoots, the showers, engagement parties, asoebi, the millions of money spent on a wedding. This is just my personal opinion, and I’m not saying a glamorous wedding wouldn’t last but I just wish the same energy we expend in a wedding, we would also expend in preparing for the life after the ceremony. It sounds funny, but you would be surprised how many people get married due to wrong reasons, reasons such as an escape from daddy’s house, pressure, age, escape from poverty, family name, business contracts, or in some worse cases, people they don’t even know. Think about it, you will be living with this fellow for the rest of your life, can you cope with the person’s good, bad, beautiful and the very ugly part of this person? Marriage is a lifelong contract, you are dedicating yourself foreverto someone else, even if you one day you separate/divorce that fellow (no one prays for that), he or she would forever be a part of your history, so don’t take the decision lightly. Don’t get married just because, get married because you are ready for it, I believe marriage should be fun but it is also work and responsibility. How do you prepare for marriage, first discover what your purpose on earth is, discover who you are, find yourself first. Answering the question of purpose, helps you navigate the journey of life easier, it will also help you know who you should be with. A lot of people do not know who they should marry, it’s because they’ve not yet discovered purpose, not just that, they’ve not discovered themselves yet. It’s also important to make this decision when you are alone not lonely, what do I mean? When you are complete, you don’t need the love of another feel to be happy, when God is your source of love and fulfillment. Kindly CLICK HERE for an article on this. What else should you do? Read books, attend programs, get exposed, get counseling, speak with your mentors to learn from them, learn from others, you should also adjust your expectations. Marriage is a decision you make based on convictions, what is God saying about it, if you’re a lady, does the guy you want to marry know his purpose, a wife is to help her husband, if he doesn’t know his purpose, how are you going to help him fulfill it? If you are a man, does the lady you want to marry, an adequate help for you? Are you both compatible? Do you know yourself, because it is only when you know yourself, that you would know you will fit you? Are you ready for the responsibilities of marriage, the maturity it takes to live with another human being for life? By all means celebrate the fact that you’ve met the love of your life, but behind all the serenren, are you prepared for marriage? “People want to be rich and successful for themselves alone but when you touch lives; that’s taking it ten steps forward”. A mind blowing interview with the CEO Happy Chap Cocktails; Damilola Esho A MUST READ INTERVIEW for Entrepreneurs and Aspiring Entrepreneurs. We could also look at this cake and icing thing in a different view. Screensaver life. Many people's life are so anyhow but the picture we are allowed to see is so beautiful that we even envy them. This brings us to that your post on BN about envy.